East Frisian perseverance. Maritime cosmopolitanism. Human connectedness. The values of our homeland have shaped us since 1949. We founded a company tradition that relies on the commitment and skills of its employees. With expertise, vision, and experience, we support the electrical processes of our partners and customers worldwide. All our activities are people-oriented. A lively corporate culture with motivated employees ensures the quality of our products and services. It is with this spirit that we follow our principles. Our customers' success depends on smooth, error-free electrical engineering in their facilities. For many decades they have relied on products and services from JANSSEN. We justify this trust in our company by constantly testing and optimising our services. Our technology, and our quality assurance, are always up to date. We are convinced that ownership leads to higher motivation, and that higher motivation leads to better performance. Therefore we rely on a cooperative management style, teamwork and continuous training. We are further encouraged by the satisfaction of our employees and our customers. Environmental protection is not a task for "others". We believe our company bears a large responsibility for the preservation of natural resources, and we take this responsibility seriously. In our mind, environmental protection belongs to the whole of society. Our corporate responsibility also applies to each and every employee. Therefore, work safety is a top priority. Our work processes and methods of handling of materials undergo constant safety checks. Our health and occupational standards far exceed international limits. Two companies are under the umbrella of The JANSSEN group: Janssen Elektromaschinen GmbH and Rolf Janssen GmbH Elektrotechnische Werke. Both function independently on the market, and at the same time take advantage of comprehensive cooperation. The synergy of the two divisions bundles all that expertise, which makes for short lines of communication, rapid implementation, and a direct line to customers. 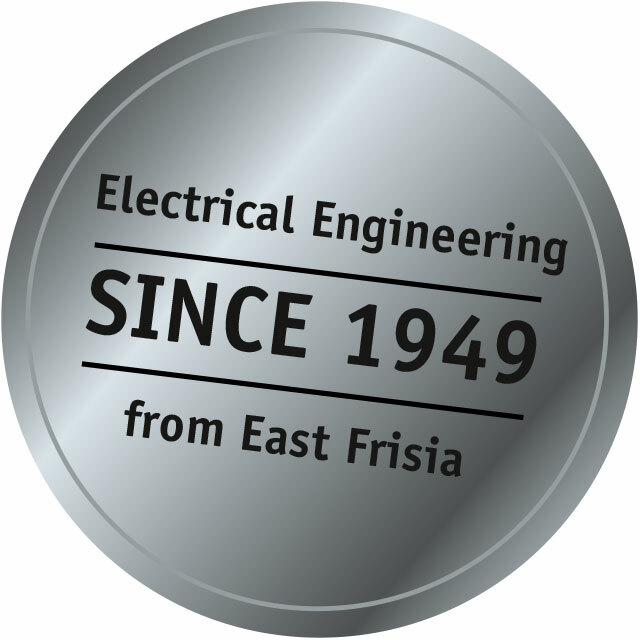 For more than 65 years, Rolf Janssen GmbH Elektrotechnische Werke has meant quality solutions in electrical engineering. Our first customers came mainly from the food and agricultural sector, when in the 1950’s we repaired production facilities damaged in the war. The maintenance of electrical machinery and equipment became the foundation of today's JANSSEN group. True to the East Frisian saying that one should “never set the stick farther than one can jump”, company founder Rolf Janssen always believed in organic, but continuous growth. He invested consistently in the proficiency of his employees and modern equipment. In 1960, the emerging technology company took over the Emden Company for Marine Electronics and Electrical Equipment, the ESIE. Today more than 300 employees are employed by Rolf Janssen GmbH Elektrotechnische Werke. In addition to shipbuilding, they develop solutions for power plant construction, water conservancy and environmental engineering. The second part of the JANSSEN Group is Janssen Elektromaschinen GmbH, formed in 2014 from the company acquired in 1960, ESIE. More than 70 highly qualified JANSSEN professionals are employed in the cities of Emden and Aurich. They develop, repair and install rotary, AC, and DC, motors and generators of all manufacturers - from the largest machines to the smallest hand tools. The JANSSEN group also maintains an office in Nuremberg. It was opened in 2005 to better serve customers in southern Germany. The focus of this independently operating subsidiary is primarily sales and project management. Our standards meet all relevant requirements for electrical engineering. We continually develop our expertise and processes. The quality of our products and services is confirmed by numerous certificates and diplomas.